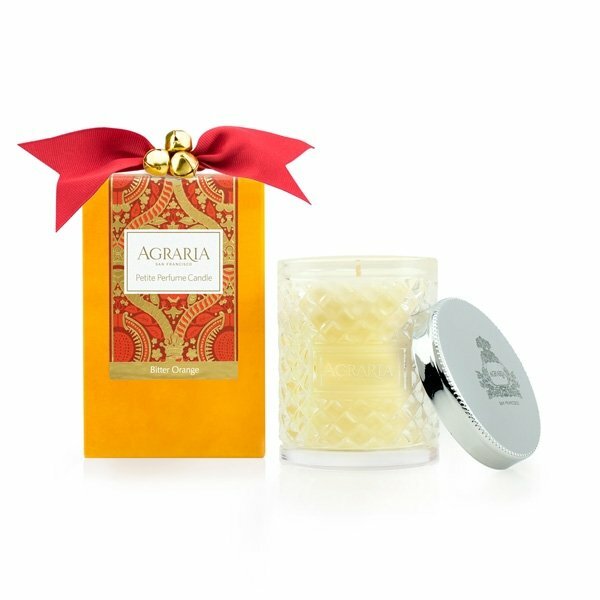 Agraria Bitter Orange Petite Candle is based on Agraria's signature fragrance and is a complex and subtle blend that comes alive with addictive waves of Clove, the zest of Bitter Orange and just a touch of Cypress. Agraria’s Petite Scented Candles are presented in a modern interpretation of the distinctive, woven palm leaf cases known by Agraria fans. The intricate pattern accentuates the movement of the flame to create a luminous and mesmerizing glow and includes a lovely silver-plate lid. Also, after the candle has burned completely, save the decorative glass to hold tea lights, keep small earrings organized, or organize loose hairpins.